Customized or predesigned ice sculptures can serve as the centerpiece for various celebrations like birthdays, weddings and bar mitzvah. Depending on the sculpture’s structure and the weather condition, this type of art could last for months or just a few hours. During the Harbin Ice Festival, the sculptures that were displayed lasted for two months, the duration of the entire event. Elaborate ice sculptures were entered during this competition. Geography plays a very important role when it comes to the creation of ice sculptures, which is why ice festivals are commonly held in very cold areas. Japanese art likewise includes pagodas and ice castles which are common entries during winter festivals. Over 100 teams of sculptors arrive to participate during the ice competition in Alaska, including teams from the United States and China. An ice hotel was also built on a yearly basis in Sweden, complete with a bar and bedrooms. 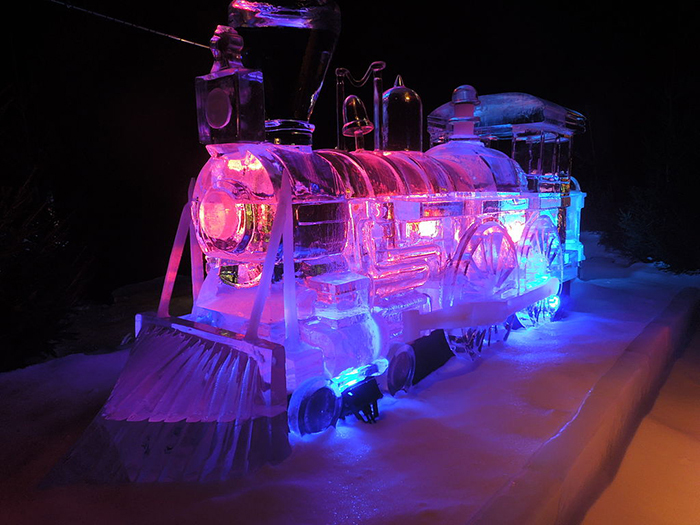 Ice sculptures come in varied sizes from objects seen in a winter festival to small table decorations. Studies show that the beginners of this art can be credited centuries back to Russia and China. Ice sculptures can be accomplished by making a mold of artificial ice or by carving into blocks of ice from frozen lakes or rivers. During the 1600s, Chinese fishermen and hunters from Heilongjiang province, on the Russian border, designed ice lanterns to be used during dark winter nights. Buckets of water were filled to make ice and a hole was dug at the center to place the candle. This trend spread in both China and Russia, and people began hanging lanterns and parading them during carnivals. The first ice palace was created in 1740 and it was commissioned by Empress Anna of Russia. This structure was designed by Piotr Eropkin. It featured an ice cannon that fired balls, as well as an ice elephant. An entire ice town has also been built in Russia’s northern cities. During the year 2000, a replica of Empress Anna’s ice palace was constructed, and it was completed by fusing together several blocks of ice. A standard ice sculpture measures between 36 to 60 inches in height and they’re mostly used in many events. These forms of art are either placed on a focal point in a room or on a buffet table. Some sculptures are larger in size and are displayed outdoors. They can also be used as a floor display surrounded by colorful lights. 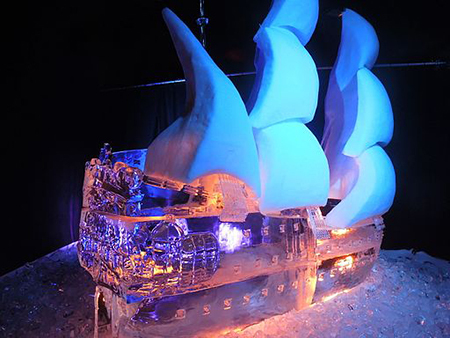 Artists also come up with giant ice sculptures that are frequently used to promote events like grand openings, introduction of a new product, concert or a movie premier. These ice sculptures measure from six to thirty feet in height. There are ice sculptures that are crystal clear while others are cloudy in the center. The clarity of this art largely depends on the how it was made. It’s important that more time is spent circulating the water throughout the freezing process. In addition, you have to make sure that the water is clear. A quality conscious sculptor would primarily utilize crystal clear ice that was manufactured in a controlled environment. The ice sculpture cannot be prevented from melting if placed in a room with a temperature of 70 degrees. This art can only be preserved if placed in an environment with a controlled climate which is below 32 degrees Fahrenheit.